Twice a week, Making A Mark gives an insanely talented artist some IADW brag-space. 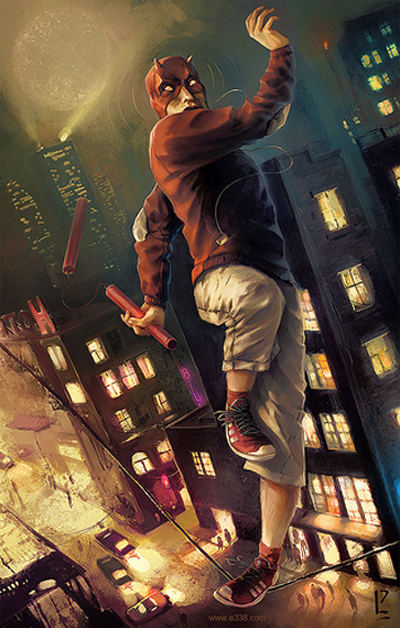 Today goes to Loic Zimmerman, a French illustrator now based in L.A, whose professional portfolio of concept artist creations contains powerful interludes into the world of Marvel, and of one pulp-ridden neighbourhood in particular. Care to guess which one? When you get profile/portrait shots like the ol' 'Man Without Fear' right there, you get why such a tightly cropped style have lasted. It says everything about the character in a short, sharp punch! Speaking of short and punchy, Wolverine there looks like the battle-hardened hero he truly is! 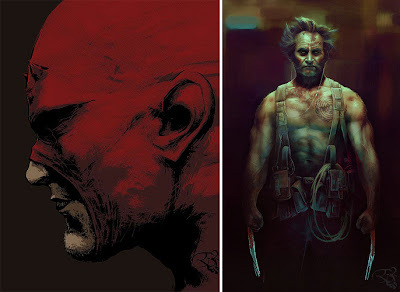 Making me want to read Old Man Logan all over again. 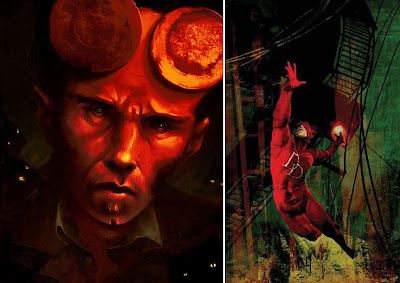 The way Loic paints Hellboy above, brings a whole new light to the character. Most render him as a wide-jawed bruiser, yet here it's his powerful yet caring gaze that delivers the character's strengths, through somewhat softer features! First rule of being a Daredevil; Don't lose your balance! It's sweet seeing Zoic add not only highlighter colours but also an ipod to the youngster without fear - I mean what kid doesn't have their MP3 player of choice surgically attached to them at the moment? For more of Loic's painted art, visit his online gallery after the jump. 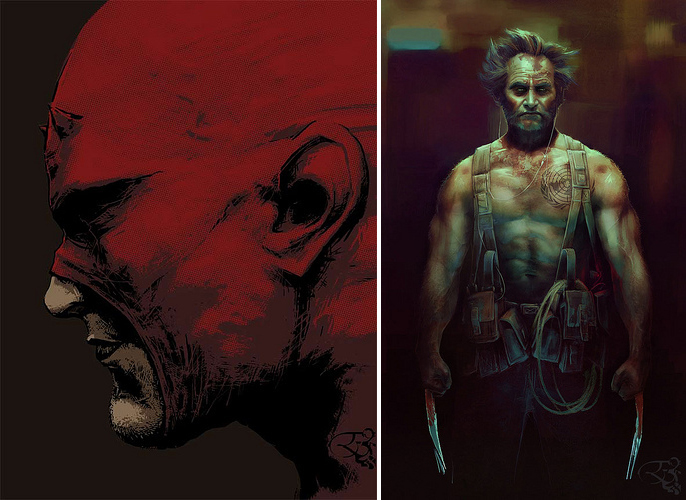 that Old Man Logan is absolutely amazing. It's perfect. Thanks Craig - I thought so too mate!